From portion of rural women to Muslim voters, anti-incumbency to landslide victories, The Verdict offers insights into India's changing election scene. The Verdict: Decoding India’s Elections is not just the most awaited book on this election, it is also a seminal contribution to election studies in India. 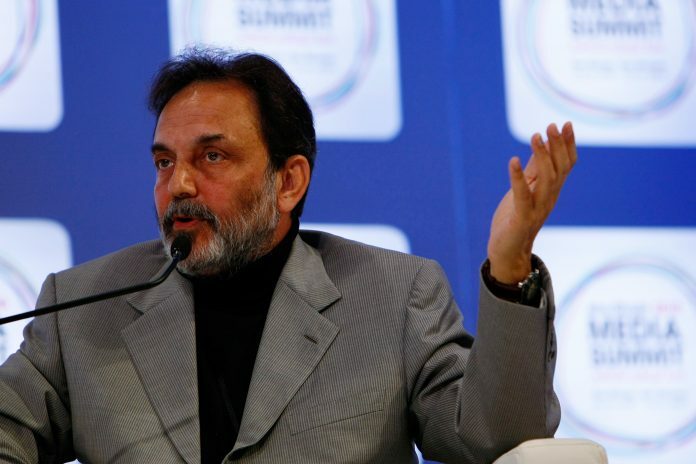 The authors, Prannoy Roy and Dorab Sopariwala, are synonymous with Indian elections. For nearly four decades now, Prannoy Roy has dominated Indian elections more than any one political leader! His affable and assuring presence on television inaugurated and has since defined the coverage of Indian elections. Not many remember now that Prannoy Roy also initiated serious election forecasting in India through path-breaking forecasts of the 1980 and the 1984 general elections in India Today. And only election junkies like me would remember his first book (A Compendium of Indian Elections, co-authored with David Butler and Ashok Lahiri, published by Arnold-Heinemann in 1984) that redefined the field of what was to be called psephology. There are many reasons I should not review this book. I was one of those umpteen youngsters who was awe-struck with Prannoy Roy’s election analysis and in good measure inspired by him to take to the study of elections. I have had the good fortune of working closely with Dr Roy and Dorab Sopariwala, and benefit of their collegiality and good humour. Finally, I was lucky enough to read an earlier version of a few chapters of this book and offer a few comments, something the authors acknowledge very generously. So, let me not pretend to offer a neutral academic review. Instead, let me just list seven theses in the book that surprised me. Each of these is backed by solid research presented in stunningly simple tables so characteristic of Dr Roy’s work. Here it goes. We all think that Indian elections are very messy and fractured. Electoral landslides are, by definition, an exception. This book refutes this impression and tells us that India is a “land of landslides”. If we define landslide as an election where the winner gets more than double the number of seats won by the runner up, as many as 73 per cent of state assembly elections to date have been landslides. If we look at the Lok Sabha elections by each state, 77 per cent of the times there has been a sweep by one party within a state. Surprised? Read on. Opinion and exit poll forecasts have become something of a joke of late. This book put together as many as 833 election forecasts from 1980 to 2018 (the first time anyone has put this together) and concludes that pollsters have not done so badly. Three out of four times pollsters get the winner right. In the case of exit polls, the success rate is an impressive 84 per cent. So, while we should not expect black magic from pollsters, any serious poll carried out by them is better than drawing room or newsroom. Ever since the introduction of EVMs and the rapid count of votes, we have encountered a peculiar phenomenon on every counting day. As the counting progresses, the winner party’s tally receives a ‘bump’, especially if it is a landslide election. This book offers first robust evidence to confirm this impression. Between the initial reports from all constituencies and the final results, the overall tally tilts in favour of the eventual winner on an average by 18 per cent in Lok Sabha elections and 11 per cent in the assembly elections. The authors offer a sophisticated mathematical reason for it to assure cynics (like me) who thought this phenomenon reflected something shady in the counting process. We all turn to by-elections to forecast the coming polls. This book nuances our understanding on this count. A Lok Sabha by-election is a good indicator of what might happen in that constituency, but only if the general election takes place within nine months. Assembly elections are excellent predictor for the Lok Sabha elections for the next six months and Municipal/Panchayat elections for the next one year. But the reverse in not true: a Lok Sabha election is not a good predictor of next assembly election. Indian elections have been identified with ‘anti-incumbency’. This book, for the first time, looks at the full range of evidence of all the Lok Sabha and assembly elections held to date, and finds no reason to believe this generalisation. There are three phases: the first phase (1952-77) was that of the ‘optimist voter’ when the incumbent party had 82 per cent chances of re-election in a state assembly election. Then came the age of angry voter (1977-2002) when this figure fell down to just 29 per cent. Finally we are in the Fifty-Fifty phase of the “wise voter” where the chances of losing and winning are about the same, depending on the performance of the government. This trend holds for parties, though incumbent candidates continue to hold moderate advantage. We all know that women and Muslims are seriously under-represented in our Parliament and assemblies. This book alerts us to a paradox here. The proportion of Muslims among the voters has been going up. In the case of women, their turnout in elections has gone up, especially in the case of rural women (another significant find of this book). The Verdict discovers that the number and proportion of women and Muslim candidates has also been going up. But the “strike rate” (share of successful among the candidates) of candidates from these two categories relative to the rest of candidates has been going down. The most stunning find of the book is about the ‘missing women voters’. It establishes a significant discrepancy between the proportion of women as recorded in the Census of India and the proportion of women in the voters’ list. Going by the latest Census, we know that among Indians of 18 years and old, there are 972 women for every 1000 men. But if you look at the voters’ list, there are only 927 women for every 1000 men. This is a huge difference: we should have had 45.1 crore women on the rolls in this election, while the latest list shows only 43 crore women. So, 2.1 crore women are missing from our voters’ list. The authors track this back to previous elections and show that the number and proportion of missing women has increased over the elections. This is equivalent to Amartya Sen’s famous argument about the missing girl child. Such is our collective amnesia on issues of gender that no scholar, present author included, had ever noticed something so stark and significant. These are seven reasons why someone who may have spent years looking at election data may still find this deceptively simple and readable book engaging. I can already see here seven doctoral dissertations elaborating and exploring these seven points. Or perhaps many more. Yogendra Yadav is National President of Swaraj India. A very interesting summing up of the salient points brought out in the book, as Mr Yadav found them. Definitely worth reading the book. Above all, a relief to find that there does not seem to be an agenda behind the findings. I suspected the worst, coming on the eve of these elections, from Dr Roy.